The excitement of the holidays can make it hard to return to a normal routine in January. Fortunately, Mother Goose Time makes this homeschooling Mom’s life much easier by saving one of their best themes for this time of year. We’re going to have a great time enjoying this month’s theme, Going On Safari! Going On Safari comes with teacher resources that make planning and executing a fun learning experience achievable and organized. 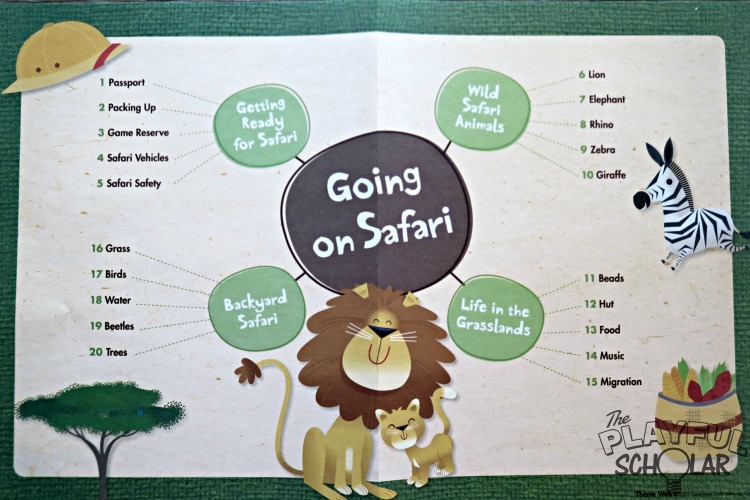 “Going On Safari” is jam packed with wonderful projects focused on community challenges, creative arts (invitations to create & make and play), small group math and literacy, and table top math and literacy. ***The music CD is included with the monthly curriculum purchase. Dance n’Beats is an optional dance and fitness program. The month’s musical selections are safari inspired children’s music. We’ll be moving and grooving to Dancing on Safari! 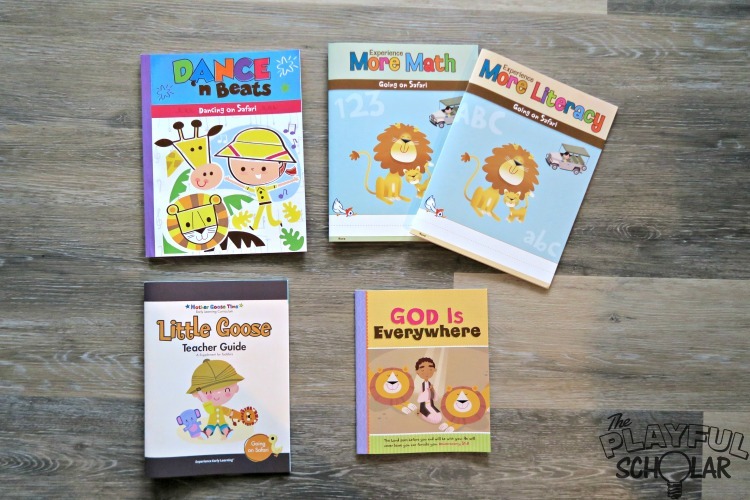 We will also be learning about “Daniel in the Lion’s Den” with “God Is Everywhere,” from Experience God (Christian curriculum add-on).